Candidates of Assam prefer govt jobs over any Private job. There are huge demand of Govt jobs in Assam among all the categories of job seekers. Actually a govt job has some qualities which make it more favorite. Mainly Govt jobs are more secure than any private job in Assam. A govt servant gets more respect and demand than a person who does job in a private company or institution. 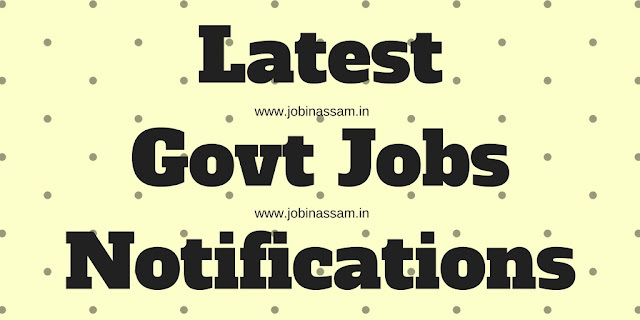 Here is the list of Notification regarding latest Govt Jobs in Assam. Click on any link below and read the full article for the govt job notification in Assam this month. You can apply through the online link here.